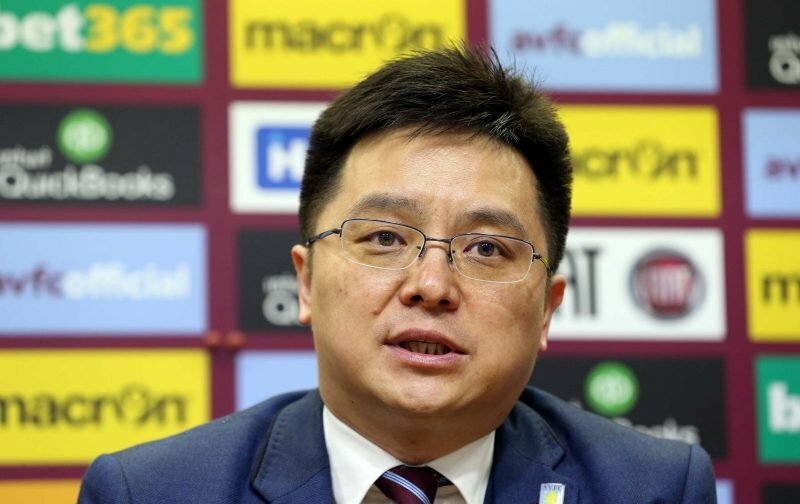 A recent Companies House update has confirmed that former chairman and serial Tweeter during the good times, Dr Tony Xia is no longer a person with ‘significant control’ at Aston Villa. With Nassef Sawiris and Wes Edens riding to our rescue when we could barely keep the lights on owing to the fact that we’d put a charge against all of our light bulbs to bring in some quick cash, the full extent of our promotion or bust approach last season came to the fore and whilst there are those fans who don’t blame Xia completely, there are plenty who do as ultimately he was the man in charge when it all went oh so wrong. Whatever your thoughts on how things transpired ultimately, not actually gaining promotion was probably for the best in hindsight – however backwards that sounds when you say it out loud (or type it). With our new duo taking a controlling 55% interest in the club from the get-go and saving us further embarrassment, the most recent update to Companies House now shows that our former owner ceases to be a person with significant control as his own shareholding has now dipped below the 25% mark. The paperwork has taken a month to come through, so this was a development in early December. There’s no great reveal or additional information on this, but it shows that Sawiris and Edens are slowly edging towards complete control at the club and if Xia hasn’t had a say since they walked through the door, he certainly doesn’t now. Suffice to say, this hasn’t been Tweeted about but a complete parting of the ways will eventually be the best for all involved as whilst he continues to have significant support from some, we’ve already seen the anger and vitriol from others and nobody needs that in their life.